Build-A-Box Homes makes it profitable for enterprises looking to build a community of homes, apartment complex, office buildings, storage units or an individual interested in building the home of their dreams.In recent years the number of American households spending more then 50% of their income on housing has risen 1/3 or 16% to 18.6 million households. This number represents more than 44.2 million Americans (JCHS 2010). US New reports that the average American consumer spends more then 30% of their income on housing. This has created a spending freeze on Americans and their money causing them to go without both the necessities and luxuries life. There are many types of entrepreneurial focuses and industries. Some of these industries include but are not limited to entertainment, food and beverage, clothing, internet and technology services, cell phone and communication, education, beauty and salon, automobile and air transportation, luxury travel and vacations, and much more. The number one industry that Americans spend the majority of their money on is in the housing industry. The second industry that American spends the majority of their money on is transportation. Americans spend “more then double” the amount of their income on housing then on transportation. Americans spend more on housing than food and transportation combined. Housing is not a luxury for Americans. Housing is a necessity. The luxury market cease when America was hit with the recession in recent years. The necessity market has taken the priority with Americans and their money. 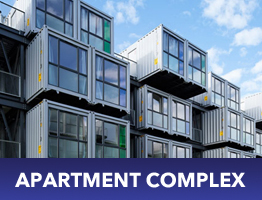 Build-A-Box Homes is committed to establishing the most cost effective model of apartment complexes, homes, office buildings, and storage units. Build-A-Box Homes will deliver the highest quality product at the lowest cost possible for the customer. 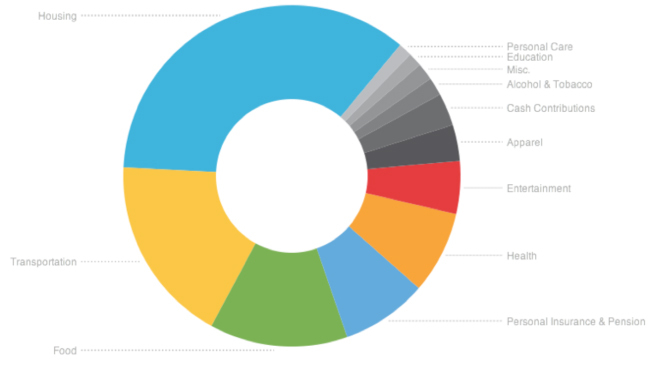 Below is a circle graph recently put out by CNN showing what the average American spends their “take home” money after taxes. Whether you are an individual customer that wants to build the eco-container home for yourself or you are an enterprise looking to start your own community or housing complex, the Build-A-Box Homes housing solution is most wise, highest quality, and cost effective choice on the market today guaranteed.